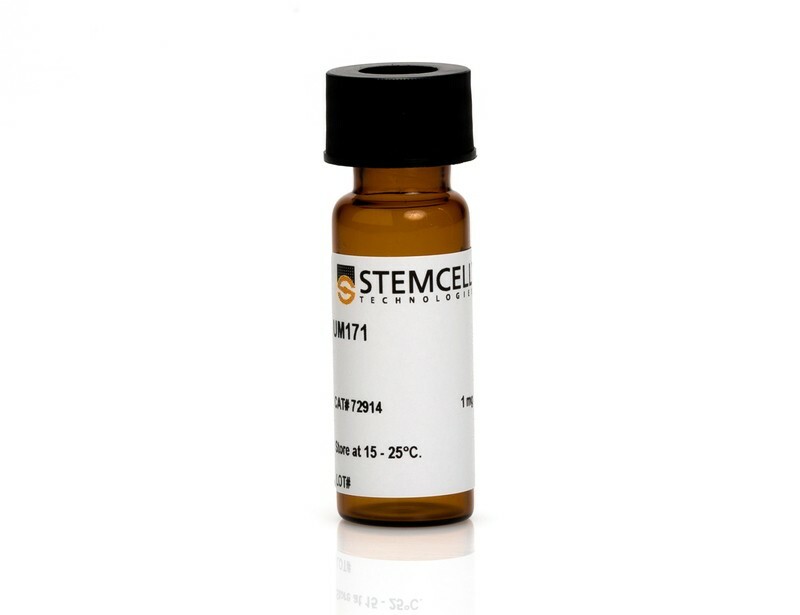 UM171 is a pyrimido-[4,5-b]-indole derivative which enhances the self-renewal of human hematopoietic stem cells in vitro. CRISPR/Cas9 genome editing in human hematopoietic stem cells. R. O. Bak et al. 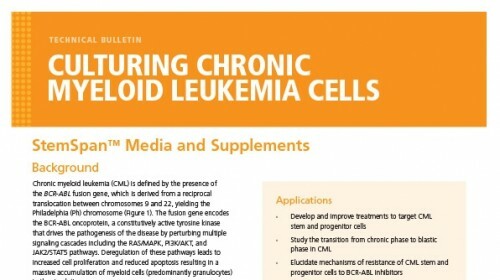 Genome editing via homologous recombination (HR) (gene targeting) in human hematopoietic stem cells (HSCs) has the power to reveal gene-function relationships and potentially transform curative hematological gene and cell therapies. 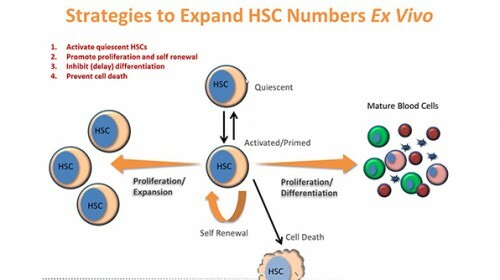 However, there are no comprehensive and reproducible protocols for targeting HSCs for HR. 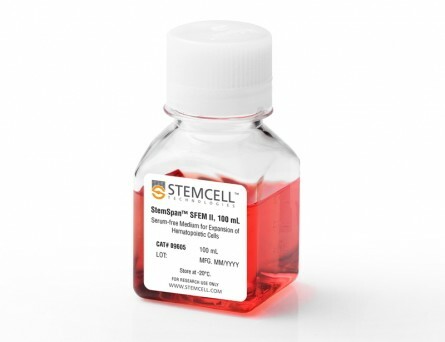 Herein, we provide a detailed protocol for the production, enrichment, and in vitro and in vivo analyses of HR-targeted HSCs by combining CRISPR/Cas9 technology with the use of rAAV6 and flow cytometry. 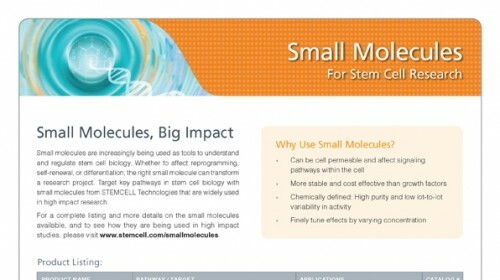 Using this protocol, researchers can introduce single-nucleotide changes into the genome or longer gene cassettes with the precision of genome editing. Along with our troubleshooting and optimization guidelines, researchers can use this protocol to streamline HSC genome editing at any locus of interest. 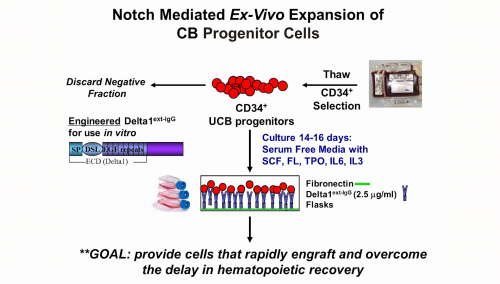 The in vitro HSC-targeting protocol and analyses can be completed in 3 weeks, and the long-term in vivo HSC engraftment analyses in immunodeficient mice can be achieved in 16 weeks. 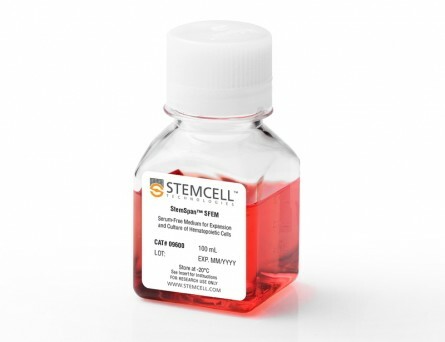 This protocol enables manipulation of genes for investigation of gene functions during hematopoiesis, as well as for the correction of genetic mutations in HSC transplantation-based therapies for diseases such as sickle cell disease, $\beta$-thalassemia, and primary immunodeficiencies. Marker-free coselection for CRISPR-driven genome editing in human cells. 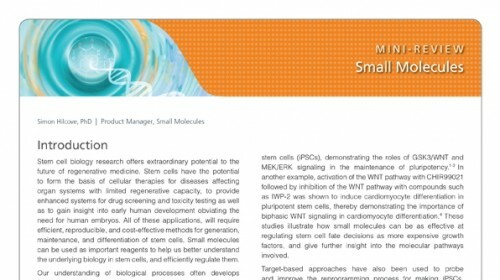 Targeted genome editing enables the creation of bona fide cellular models for biological research and may be applied to human cell-based therapies. Therefore, broadly applicable and versatile methods for increasing its efficacy in cell populations are highly desirable. We designed a simple and robust coselection strategy for enrichment of cells with either nuclease-driven nonhomologous end joining (NHEJ) or homology-directed repair (HDR) events by harnessing the multiplexing capabilities of CRISPR-Cas9 and Cpf1 systems. Selection for dominant alleles of the ubiquitous sodium/potassium pump (Na+/K+ ATPase) that rendered cells resistant to ouabain was used to enrich for custom genetic modifications at another unlinked locus of interest, thereby effectively increasing the recovery of engineered cells. 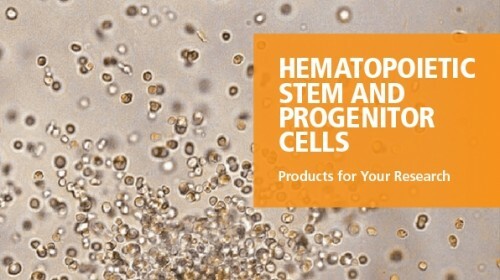 The process is readily adaptable to transformed and primary cells, including hematopoietic stem and progenitor cells. 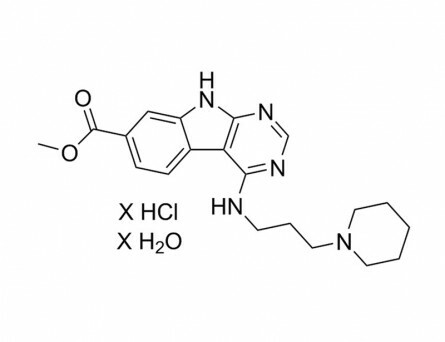 The use of universal CRISPR reagents and a commercially available small-molecule inhibitor streamlines the incorporation of marker-free genetic changes in human cells. Cord blood expansion. 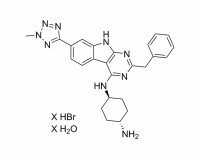 Pyrimidoindole derivatives are agonists of human hematopoietic stem cell self-renewal. The small number of hematopoietic stem and progenitor cells in cord blood units limits their widespread use in human transplant protocols. 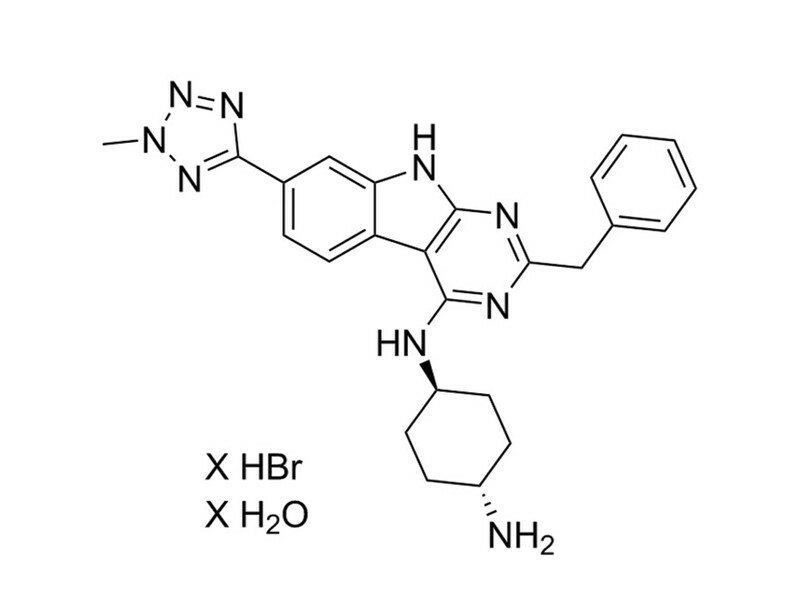 We identified a family of chemically related small molecules that stimulates the expansion ex vivo of human cord blood cells capable of reconstituting human hematopoiesis for at least 6 months in immunocompromised mice. 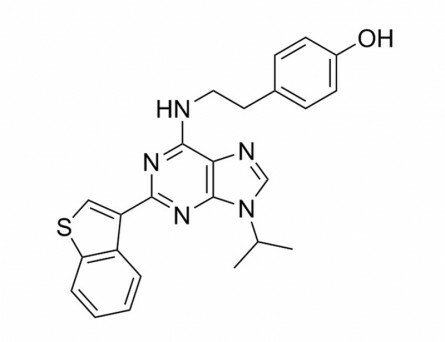 The potent activity of these newly identified compounds, UM171 being the prototype, is independent of suppression of the aryl hydrocarbon receptor, which targets cells with more-limited regenerative potential. 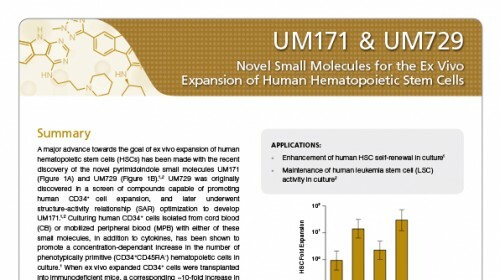 The properties of UM171 make it a potential candidate for hematopoietic stem cell transplantation and gene therapy.